Switzerland - The International Organization for Migration (IOM) is marking this year’s World TB Day by highlighting the critical importance of engaging in productive multi-sectoral partnerships to promote the health and well-being of migrants and mobile populations around the world, and help eliminate tuberculosis (TB). With the theme ‘Unite to End TB’, this year’s World TB Day falls right in the middle of the current migrant crisis in Europe, and after the recent adoption of the 2030 Agenda for Sustainable Development that in different ways have both brought migration to the forefront of the agenda of governments, international community and other stakeholders. Despite the notable progress in achieving TB milestones worldwide, TB continues to be a global threat, with approximately six million new cases of TB and about 1.5 million deaths due to TB recorded in 2014. The TB burden also continues to be concentrated in developing and low income countries / regions with around 58 percent of cases occurring in the South-East Asia and Western Pacific regions followed by Africa. Many migrants are vulnerable to TB disease due to irregular health access, exposure to precarious trans-border situation and poor living conditions. IOM is therefore calling on all responsible constituencies, including governmental, non-governmental, community groups, international organizations and donors to take collective responsibility to decisively tackle the challenges faced by migrants and mobile populations in the fight to eradicate TB. “As we mark World TB Day, it is very encouraging to see that the End TB strategy and the World Health Assembly resolution that led up to it, addresses migration, calls for adaptation at country level and collaboration with the migration sector. It places patients and communities at the heart of the response. However, in implementing this strategy, it is crucial to ensure that migrants are not left behind,” said IOM Director General William Lacy Swing. Ambassador Swing also took the opportunity to highlight growing evidence and understanding that social and economic inequalities sustain migrants’ vulnerability to TB, as do discriminatory policies in non-health sectors such as immigration, labour and social protection. Other notable social barriers including language barriers, cultural beliefs, stigma-related fear, lack of awareness to entitlements, low health-related spending capacity, and migrant-unfriendly health service also all lead to reluctance in seeking care or adhering to treatment. According to Dr. Davide Mosca, Director of IOM’s Migrant Health Division, there remain huge gaps in the access of migrants and mobile populations to timely screening, treatment and continuity of care, often with collapsed or extremely challenged health systems in chronic conflicts or acute emergencies. 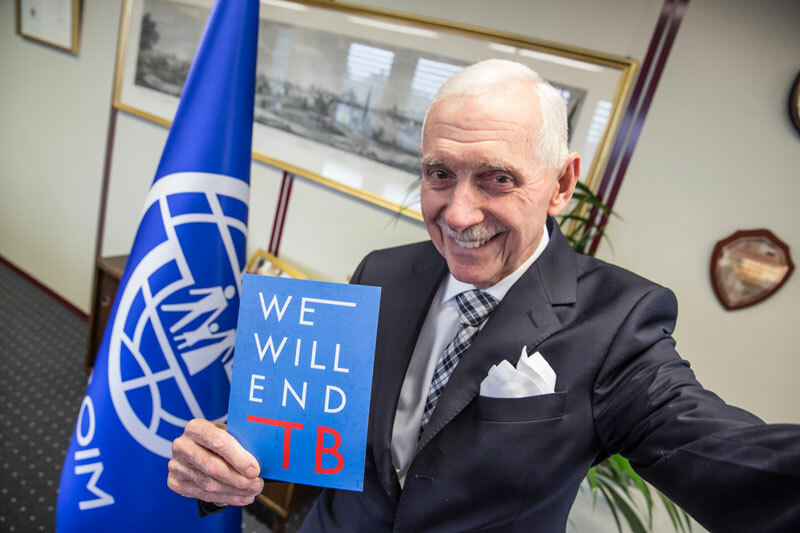 “The targets of the Global Plan to End TB 2016-2020 that aim to reach 90 percent of the key populations among 90 percent of the world’s population with TB and realizing 90 percent treatment success cannot be achieved without addressing migration health issues,” said Dr. Mosca. “Public perceptions on migrants should be improved, and health of migrants addressed as an integral theme in the dialogue on Sustainable Development Goals (SDGs), health and human development,” he added. More information and materials about IOM’s efforts on TB and migration can be found here.